In the past decade, with the economic crisis and the transformation of welfare societies, NGOs, community organisations and civic developers – City Makers – established some of the most important services and spaces in formerly vacant buildings, underused areas and neglected neighbourhoods. Consolidating their presence in the regenerated spaces, these initiatives are increasingly looking into the power of the local community, the dispersed crowd and new financial actors to invest in their activities. Two years ago, the cultural centre La Casa Invisible collected over 20.000 euros for the partial renovation of the building including the installation of fire doors and electric equipments to assure the safety of their revitalized 19th century building in the centre of Málaga. 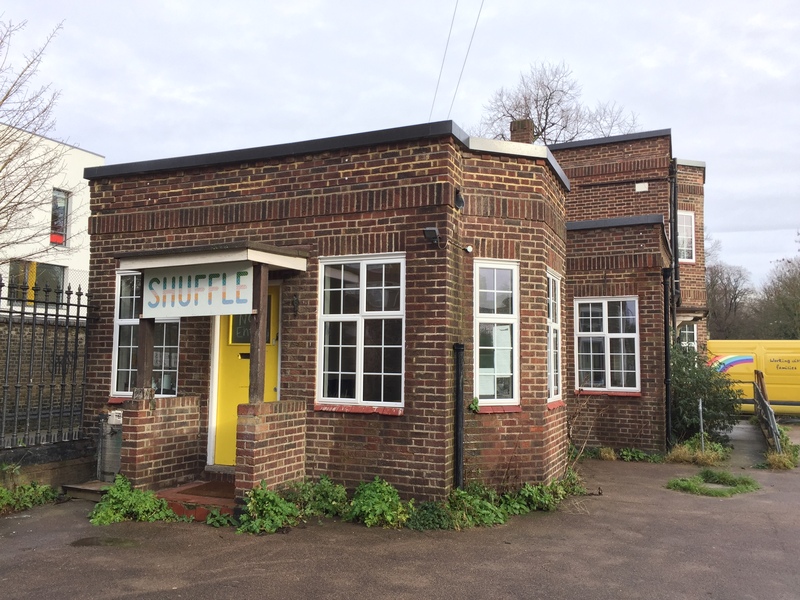 A few months later, East London’s Shuffle Festival, operating in a cemetery park at Mile End, collected 60.000 pounds for the renovation and community use of The Lodge, an abandoned building at the corner of the cemetery. In order to implement their campaigns, both initiatives used the online platforms Goteo and Spacehive that specialise in the financing of specific community projects. The fact that many of the hundreds of projects supported by civic crowdfunding platforms are community spaces, underlines two phenomena: the void left behind by a state that gradually withdrew from certain community services, and the urban impact of community capital created through the aggregation of individual resources. Nevertheless, in the course of the economic crisis, many European cities witnessed the emergence of a parallel welfare infrastructure: the volunteer-run hospitals and social kitchens in Athens, the occupied schools, gyms and theatres of Rome or the community-run public squares of Madrid are only a few examples of this phenomenon. European municipalities responded to this challenge in a variety of ways. Some cities like Athens began to examine how to adjust their regulations to enable the functioning of community organisations, others created new legal frameworks to share public duties with community organisations in contractual ways, like Bologna with the Regulation of the Commons. In several other cities, administrations began experimenting with crowdfunding public infrastructures, like in Ghent or Rotterdam, where municipalities offer match-funding to support successful campaigns, or with participatory budgeting, like in Paris, Lisbon or Tartu. Yet other public administrations in the UK, the Netherlands or Austria invited the private sphere to invest in social services in the form of Social Impact Bonds, where the work of NGOs or social enterprises is pre-financed by private actors who are paid back with a return on their investment in case the evaluation of the delivered service is positive. Alternatively, some cities chose to support local economy and create more resilient neighbourhoods with self-sustaining social services through grant systems. The City of Lisbon, for instance, after identifying a number of “priority neighbourhoods” that need specific investments to help social inclusion and ameliorate local employment opportunities, launched the BIP/ZIP program that grants selected civic initiatives with up to 40.000 euros. The granted projects, chosen through an open call, have to prove their economic sustainability and have to spend the full amount in one year. The BIP/ZIP project, operating since 2010, gave birth to a number of self-sustaining civic initiatives, including social kitchens that offer affordable food and employment for locals or cooperative hotels that use their income from tourism to support social and cultural projects. 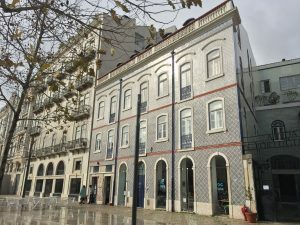 In 2015 the experience of the BIP/ZIP matured in a Community-Led Local Development Network, as identified by the European Union’s Cohesion Policy 2014-2020, which will grant the network access to part of the Structural Funds of the City of Lisbon. The CLLD is a unique framework for the democratic distribution of public funds: it foresees the management of the funding to be shared between administration, private and civic partners, with none of them having the majority of shares and votes. While, as the previous cases demonstrate, the public sector plays an important role in strengthening civil society in some European cities, many others witnessed the emergence of new welfare services provided by the civic economy completely outside or without any help by the public sector. In some occasions, community contribution appears in the form of philanthropist donation to support the construction, renovation or acquisition of playgrounds, parks, stores, pubs or community spaces. In others, community members act as creditors or investors in an initiative that needs capital, in exchange for interest, shares or the community ownership of local assets, for instance, shops in economically challenged neighbourhoods. Crowdfunding platforms also help coordinating these processes: the French Bulb in Town platform, specialized in community investment, gathered over 1 million euros for the construction of a small hydroelectric plant in Ariège that brings investors a return of 7% per year. Besides aggregating resources from individuals to support particular cases, community infrastructure projects are also helped by ethical investors. 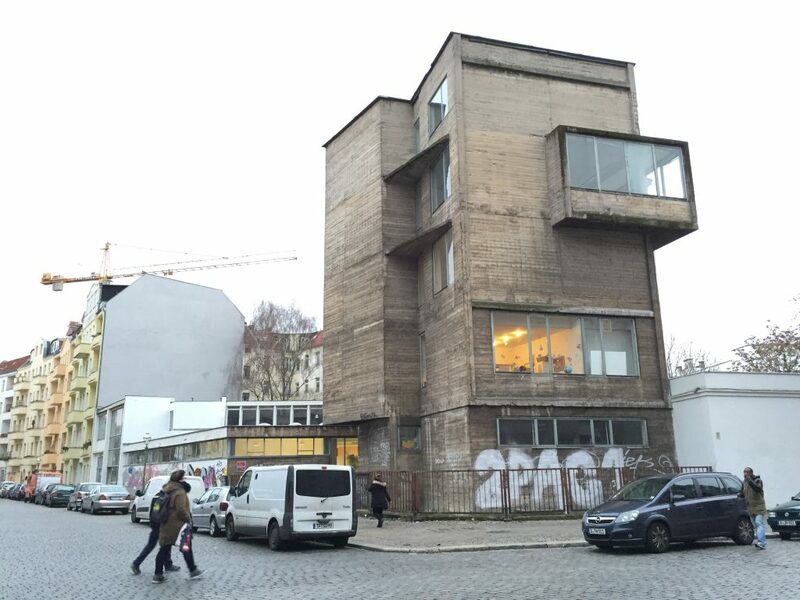 When two artists mobilised their fellow tenants to save the listed 10.000 m2 Rotaprint in the Berlin district of Wedding, they invited several organisations working on moving properties off the speculation market and eliminating the debts attached to land, to help them buy the buildings. While the complex was bought and is renovated with the help of an affordable loan by the CoOpera pension fund, the land was bought by the Edith Maryon and Trias Foundations and is rented (with a long-term lease, a “heritable building right”) to ExRotaprint, a non-profit company, making it impossible to resell the shared property. With its sustainable cooperative ownership model, ExRotaprint provides affordable working space for manufacturers as well as social and cultural initiatives whose rents cover the loans and the land’s rental fee. Creating community ownership over local assets and keeping profits benefit local residents and services is a crucial component of resilient neighbourhoods. Challenging the concept of value and money, many local communities began to experiment with complementary currencies like the Brixton or Bristol Pounds. Specific organisational forms like Community Land Trusts or cooperatives have been instrumental in helping residents create inclusive economic ecosystems and sustainable development models. In Liverpool’s Anfield neighbourhood, a community bakery is the symbol of economic empowerment: renovated and run by the Homebaked Community Land Trust established in April 2012, the bakery – initially backed by the Liverpool Biennale – offers employment opportunities for locals, and it is the catalyst of local commerce and the centre of an affordable housing project that is developed in the adjacent parcels. Similarly, a few kilometres east, local residents established another CLT to save the Toxteth neighborhood from demolition. 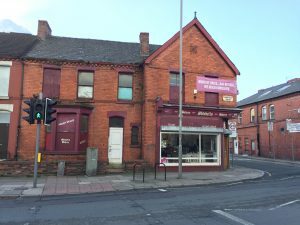 The Granby Four Streets Community Land Trust, with the help of social investors and a young collective of architects (winning the prestigious Turner prize), organised a scheme that includes affordable housing, community-run public facilities and shops. The economic self-determination of a community has been explored at the scale of an entire neighbourhood by the Afrikaanderwijk Cooperative in Southern Rotterdam. The cooperative is an umbrella organisation that connects workspaces with shopkeepers, local makers, social foundations, and the local food market: they have developed an energy collective in cooperation with an energy supplier that realises substantial savings for businesses in the neighbourhood; a cleaning service that ensures that cleaning work is commissioned locally; and a food delivery service for elderly people in the neighbourhood. With community organisations and City Makers acquiring significant skills to manage welfare services, urban infrastructures and inclusive urban development processes, it is time for their recognition by established actors in the public and private sectors. The EU’s Urban Agenda, developing guidelines for a more sustainable and inclusive development of European cities, can be a catalyst of this recognition: it can prompt the creation of new instruments and policies to enable such community-led initiatives. While the Cohesion Policy 2014-2020 has developed the CLLD framework, not many Member States chose to use this instrument. The Urban Agenda could therefore envision the adoption of more methods to be experimented by City Administrations, to allow for a more sustainable and inclusive allocation of resources. Whether through matchfunding, grant systems, or simply removing the legal barriers of cooperatives, land trusts and community investment, municipalities could join the civil society in developing a more resilient civic economy with accessible jobs, affordable housing, clean energy, and social integration. Community, Economy , article, civic space, commons, community, cooperative, economy, English, finance, Funding the Cooperative City, ownership, solidarity, text.